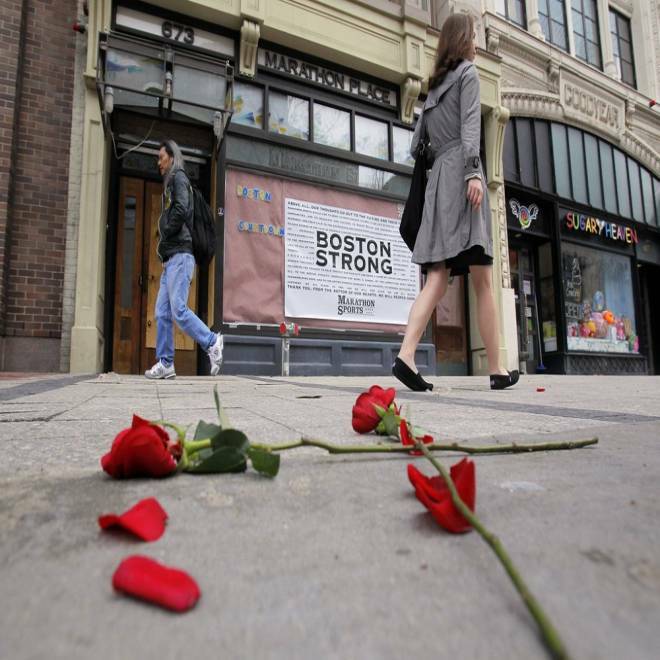 Flowers lay on the sidewalk at the site of the first explosion at the Boston Marathon finish line after Boylston Street reopened on April 24. In a matter of moments, the Boston Marathon bombings inflicted as much as $333 million in damage to the local economy in lost wages, retail sales and infrastructure damage, according to preliminary estimates. But the effects of the April 15 attack, which killed three people and injured 264 others, continue to send shock-waves far beyond Boylston Street. 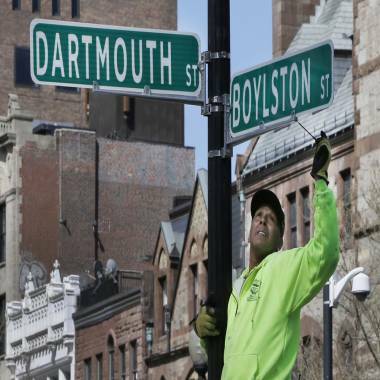 A city transportation worker fixes a street sign in Boston's Copley Square on April 25. *First blast was outside 671 Boylston St.
**Second blast was outside 755 Boylston St.
Mark Schone and Berenice Garcia of NBC News also contributed to this report.